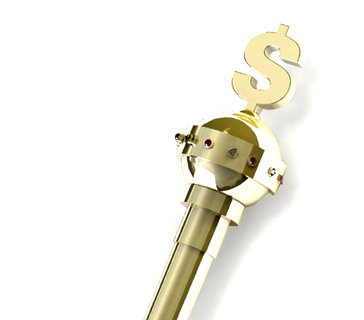 What is the definition of "acting out of turn" as it applies to the world of poker? What does "acting out of turn" mean? 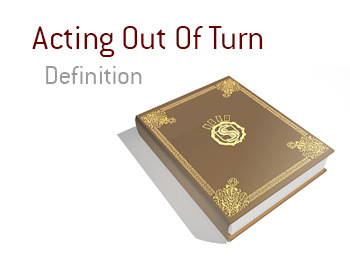 In poker, "acting out of turn" refers to the act of somebody making a move before it is their turn to act. For instance - let's say that there are three players in a hand. After the turn card is dealt, all three players decide to check. Now, after the river card is dealt, the player on the button throws out a bet, which leaves the other two players confused. After all, the button is the LAST player to act in the hand - not the first. Now, the player on the button may have made an honest mistake, but there is also a chance that they are "angle shooting". Acting out of turn is frowned upon, especially when the people playing are experienced. If a player is purposely acting out of turn, for instance, they are going to have a big impact on the subsequent moves made by the other two players. For instance, let's say that one of the other players had a marginal holding - would they bet out, knowing that somebody had already acted out of turn by throwing down a bet? Would they call a bet from the person who had acted out of turn, knowing that this person had been eager to throw out a bet? By acting out of turn, the player on the button had significantly altered the way that the hand will play out. For this reason, "acting out of turn" is frowned upon and is considered cheating.